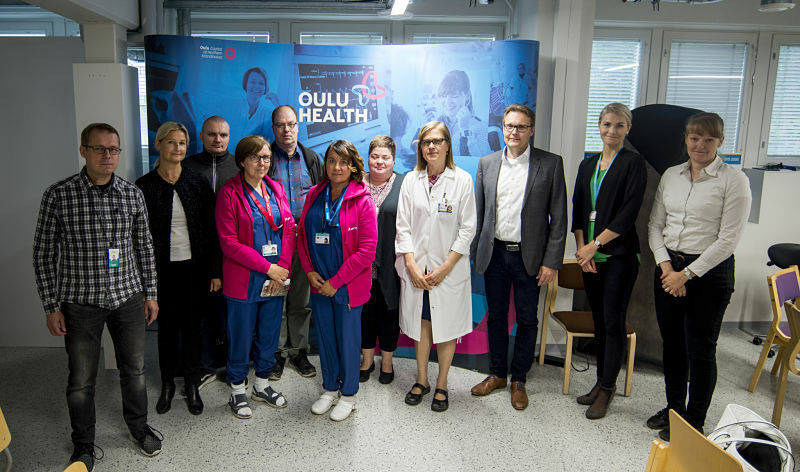 DIAMECHAT CHALLENGE: Healthcare professionals from Oulu Hospital, a digital health company (ProWellness) and experts from Business Oulu during the co-creation process. Why healthcare organizations and IT companies must work together? 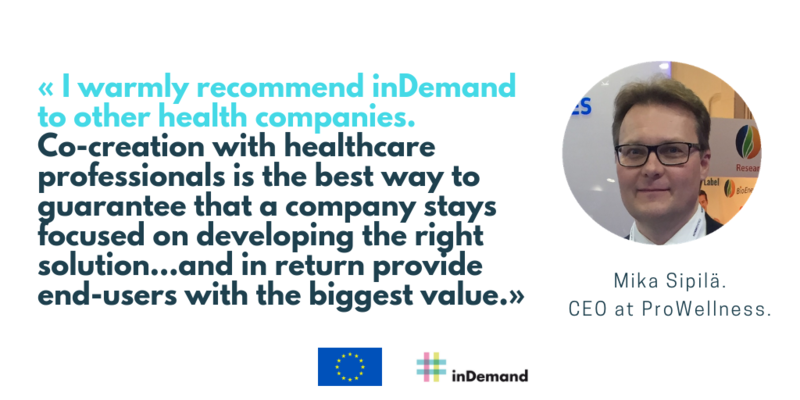 To know a little bit more about this topic we have had a chat with Mika Sipilä, CEO at ProWellnes. ProWellness Health Solutions specialises in modern and innovative health IT solutions for the prevention, care and management of chronic diseases, including diabetes, cardiovascular diseases, endocrine disorders, COPD and other chronic respiratory diseases. Our solutions cover e.g. clinical systems used at hospital and community clinics, patient self-management apps, tools to enable communication between clinicians and patients, and intelligent audits on outcomes of care for planning and improving health services. Our systems enable early interventions, and increase the efficiency and the quality of patient care. The outcomes are reduced morbidity and hospitalization which results in lower health care costs. There was a need for a comprehensive electronic communication platform for children and young people with diabetes and their families for guidance of initial care practices after discharging from hospital, and for any situations when the young patients (or their family members) require help from clinicians. There was a need for monitoring blood glucose levels and treatment of newly diagnosed T1 diabetics at hospitals, and to have that information and individual patient goals easily available in electronic format for clinicians when guiding patients after discharging from hospital. The solution introduces a comprehensive electronic communication platform for children and young people with diabetes and their families for guidance of initial care practices, as per the Challenge by the Challenger. The platform contains e.g. the essential diabetes education materials, and a chat option for questions and guidance after discharging from hospital, and combines several other disjoint information sources into one ‘mobile diabetes handbook’ for young patients and their families. Team work was very smooth and you got a feeling of really working together. We got a lot of invaluable information and perspectives from healthcare professionals for developing the solution. Co-creation is the best way to make sure we develop the right solution, and in return provide end-users with the biggest value. The project timetable was a bit challenging, and on occasions finding mutual time / ways to communicate with healthcare professionals was not necessarily easy due to busy work schedules. Companies, end-user organizations and business support working together for a common goal forms an interesting model of developing new solutions which can result in genuine innovations. Combined with funding, this is a very interesting way of working specifically for young start-ups. A one-size-fits-all common timetable with the same milestones may not necessarily be the best approach given that the developed solutions are not all similar – although understandably the nature of the program requires some structure though. In phase 1, we plan to offer the developed solution first to our existing customers who’ve already got our hospital diabetes management system in use. Business support may be able to look at markets ad opportunities from a new angle that we may not always notice ourselves, given that we may (unintentionally) be focusing too narrowly on our current strategy, whereas business support might be able to take a fresh look and see a broader picture from a couple of feet’s distance. Healthcare personnel resources seem to be scarce, no matter which country one looks at. New technologies like 5G, IoT, AI will enable more personalised, patient-oriented and connected health care services, without a need to always go to the clinic to see a doctor or a nurse – saving time, money, and resources. New wellness and health IT gadgets coming on the market are smaller in size and will enable citizens to themselves perhaps do some diagnostics at home more. Digitalized healthcare will enable new types of distributed health services; we’re already starting to see once so centralized laboratory services moving to a more distributed way of operating.